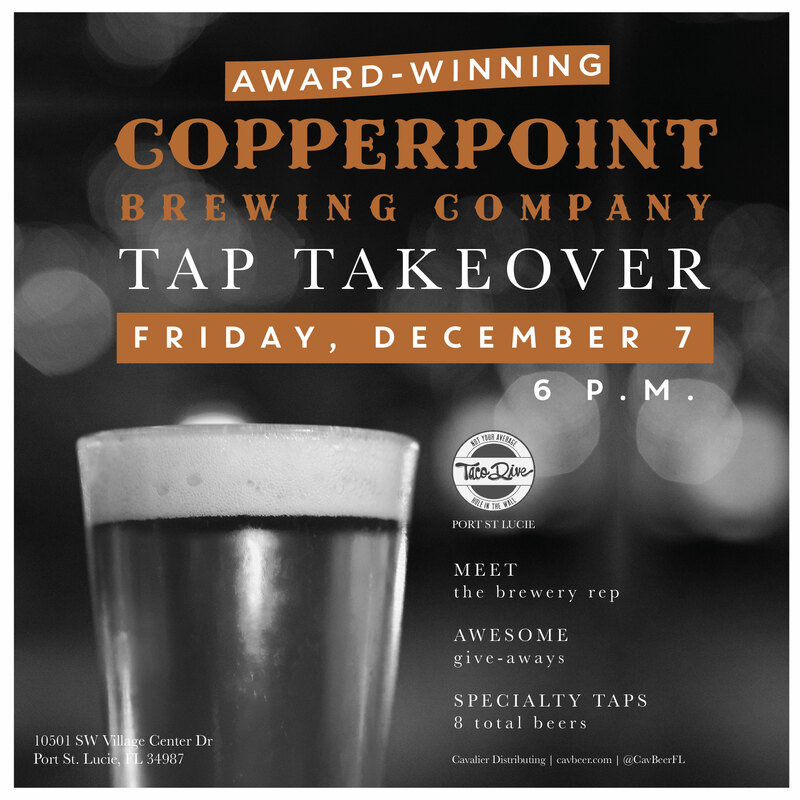 Join us at Taco Dive for a Copperpoint Brewing Tap Takeover! We’ll have awesome give-aways, and of course, Copperpoint beers! 10501 SW Village Center Dr.